Located in the southwest of England, Yeovil is a town in the southern reaches of Somerset. With a population of around 45,000, there’s a good variety of housing to take a look, no matter what your budget is. At My Home Move Conveyancing we’ve been developing our knowledge of property markets like the one in Yeovil since 2001, allowing us to bring our clients in the area an outstanding, specialist conveyancing service. When buying or selling property in Yeovil, you need to instruct property lawyers to carry out the legal work on your behalf. 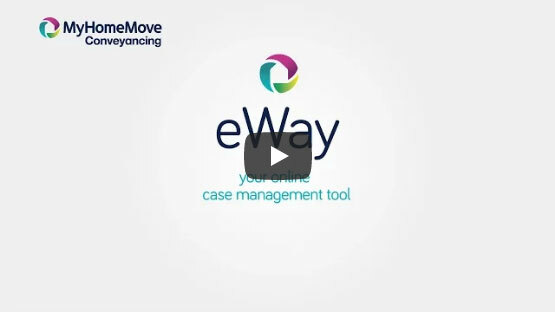 My Home Move Conveyancing offers our clients in Yeovil an award winning level of customer service, forward-thinking use of technology and intimate knowledge of the local property market. There are no hidden extra costs to worry about with our fixed fee conveyancing service, which we deliver with passion, energy and professionalism. When you choose us as your Yeovil conveyancers, you’ll know exactly how much you’re going to pay from the start. We operate a ‘no completion – no fee’ policy for total peace of mind, so you won’t have to pay us anything in legal fees if you don’t end up moving. We’ll assign you a dedicated conveyancer, who’ll take care of all aspects of your case right through to completion. You’ll have a consistent point of contact and regular, easy to understand updates. You’ll also get online access to your account, so you can upload documents and check up on your move status whenever you want. At My Home Move Conveyancing we get things right first time round, and are proud to assist homebuyers with our conveyancing services in Yeovil in places like the town centre, by the Pen Mill train station to the east and Yeovil Junction south of town, and in neighbourhoods like Crofton Park, Hollands and Preston Plucknett. The average house price in the South Somerset district is £218,691, while the overall average sale price in Yeovil over the last 12 months was £199,684. Most sales in this period involved semi-detached properties, which went for an average of £191,443. Terraces fetched £160,483 and detached houses sold for £298,361. With archaeological evidence stretching back to palaeolithic times, Yeovil is a town with lots of history. It was built along an old Roman road, was included in the will of King Alfred the Great, and was recorded in the Domesday Book of 1086 as Givele. After becoming an important centre of the aircraft and defence industries, Yeovil was targeted for bombing in the Second World War. Nowadays the town has all the modern amenities you need, along with a range of open spaces including the Ninesprings country park. As Yeovil is in a rural part of England, it’s not the best spot in terms of getting to other places quickly. It’s some 30 miles to the closest motorway, which is the M5 that runs between Bristol and Exeter. There are two local train stations though, but it’ll take around two hours to get to Bristol and a little longer to get to London. If you’re going for a jaunt down to the south coast, Weymouth is around 50 minutes away by train. There are some good schools in the area for families with children to take into account, including Huish Primary, St Gildas Catholic Primary and Oaklands Primary. Preston School, which is a Business and Enterprise Academy, Westfield Academy and Bucklers Mead Academy are among the local secondary options, while Yeovil College provides further education facilities in the town. Some areas of Yeovil include parish precepts while others do not. Figures shown are for the central part of town, which includes parish fees.